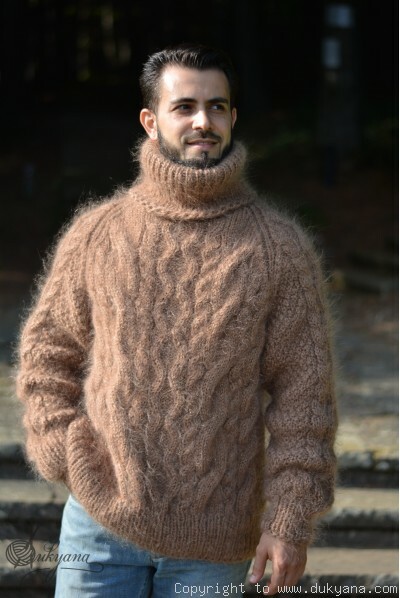 The sweater is made from premium grade mohair yarn.The design is created with care to mens fit and c.. The sweater is made from premium grade mohair yarn.Machine washable using gentle cycle.The design is..
Hand knitted premium grade mohair mens sweater.Design is created with care to mens fit and comfort.S..
Soft T-neck mohair sweater knitted from premium grade silky and soft mohair.Unisex sweater due to th..
MEASUREMENTS of sweater at the pictures (mens L/XL)Length from shoulder : 71cm / 28”Ches..
Hand knitted chunky and thick unisex mohair sweater.Gray mix.Seamless body.Stretchy knit pattern.Can..
MEASUREMENTS of the sweater at the pictures: Length from shoulder : 75cm / 29,5” Chest width..
MEASUREMENTS of sweater laid flat mens L Length measured from the shoulder to the end of hem laid f..
MEASUREMENTS Length measured from the shoulder to the end of hem laid flat : 74cm / 29” Chest..
MEASUREMENTS Length measured from the shoulder to the end of hem laid flat : 76cm / 30&rdqu..
Hand knitted soft mohair swater.Cabled design.Can be knitted in different measurements on demand. 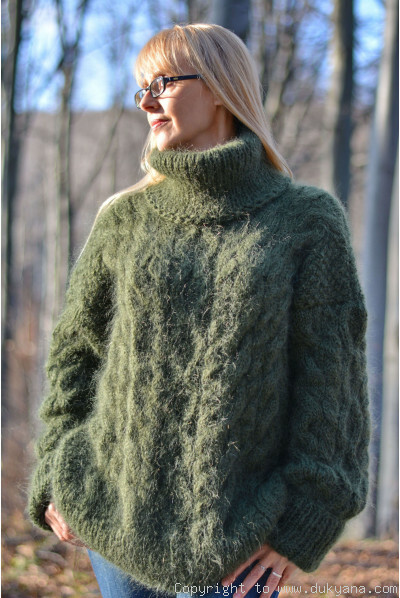 M..
Soft and airy premium grade mohair sweater.One-size and unisex fit. MEASUREMENTS Length from shoul..
Hand knitted mens mohair sweater.Soft and silky natural fiber material.Heavy cable design.The sweate..
MEASUREMENTS of sweater at the pictures: Length from shoulder : 75cm / 29,5” Chest width : 6..
Hand knitted soft and silky mohair mens sweater.Unisex fit due to the dropped sleeve style.Machune w..
Hand knitted thick and chunky mens Tneck in a mixed brown colour.Wool/mohair mens sweater.The sleeve..
Hand knitted thick and chunky mens Tneck sweater in a mixed gray/black colour.The sleeve cut is our ..
Hand knitted thick and chunky mens Tneck sweater in a mixed blue colour.The sleeve cut is our favori..
Hand knitted chunky and thick unisex mohair sweater.Gray mix.Stretchy knit pattern.Can be knitted to..
Hand knitted on request cabled soft mohair sweater.Mremium grade silky and soft mohair natural fiber..
MEASUREMENTS Length from shoulder seam 73cm / 29" Chest width from arm ..